A 2014 study by Joseph M. Cerimele and colleagues in the journal Psychiatric Services found that primary care patients with bipolar disorder had severe depression and anxiety, symptoms of other psychiatric illnesses, and psychosocial problems such as housing difficulties, homelessness, or lack of support. Only 26% were referred to specialty mental health care despite the severity of these problems. These findings suggest the primary care setting, where many patients obtain their care, provides insufficient support for people with bipolar disorder. It is critical that patients keep a detailed longitudinal record of mood fluctuations in order to enhance the likelihood that their doctor can perform a well-informed evaluation and assessment of the effects of treatment. Several ways of doing this are available. We offer a variety of printable daily mood charts available on our website. Another option is What’s My M3, a free app that can be downloaded from the Itunes Store or Google Play. In a three-minute survey, it screens for depression, anxiety, OCD, PTSD, and mania. The ratings can be done longitudinally and printed out to assist a physician in the evaluation, assessment of course of symptoms, and response to treatment. Parents of children aged 2–12 with mood or behavioral problems (or at risk for them because they have a parent with a diagnosis of depression or bipolar disorder) can rate their children each week as part of a new study. These ratings, which will help determine how children with symptoms of mental illness are being treated in the community, are done via a secure website and can be printed out to help a treating physician or other clinician to evaluate the children’s course of illness and responses to treatments. Access to informed consent documents and more information about participation in the study, known as the Child Network, is available here. Patients should educate themselves about the signs and symptoms of mood disorders. Many books on this topic are available, and the BNN newsletter tries to update patients and clinicians about the latest findings about the treatment of depression and bipolar disorder. Patients can seek out consultations with experts in bipolar disorder, who may be able to provide extra guidance to help primary care physicians arrive at the appropriate diagnosis or find an optimal treatment plan and back up approaches if the initial options do not bring about remission. Finding a psychotherapist who can provide psychoeducation about bipolar disorder and cognitive behavioral or other specialized therapies may also be of great use, as more than a dozen randomized studies document the effectiveness of psychoeducation and/or psychotherapy compared to treatment as usual. Many medical problems such as heart disease and diabetes require careful monitoring, with patients as active participants. Likewise, careful monitoring of mood is a critical component of good treatment and should yield positive short-term and long-term results in recurrent depression and bipolar disorder. Since depression can complicate many medical illnesses, patients should get in the habit of asking physicians not only about their blood sugar, blood pressure, or cholesterol, but also, “What about my low mood, anxiety, or insomnia?” It may be just the spark a physician needs to better attend to these equally important health issues. 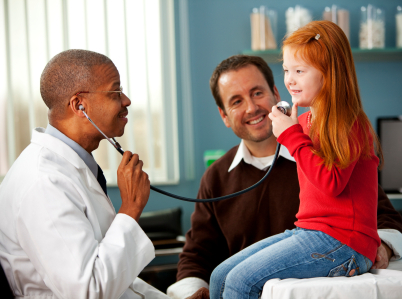 NAMI concluded that primary care providers could play a larger role in detecting mental illness in children. They found that in 63% of families, the first signs of behavioral or emotional problems were evident in children by age 7. More than half of families reported that their primary care physicians were not knowledgeable about mental health treatments. Almost two-thirds of families reported that their primary care providers were not knowledgeable about local resources to support families with mentally ill children. NAMI’s suggestions for primary care providers included educating themselves about early-onset mental illness and local resources for families, providing screening tools for parents and youth in order to encourage discussion of mental health, emphasizing that mental health is as important as physical health to a child’s wellbeing, asking questions about mental health as a routine part of office visits, and listening to families’ concerns without judgment. Primary care providers are also encouraged to let families know that there is hope and that they are not alone in facing this difficulty, that mental illness in a child is not the parents’ fault, and that their children have many strengths. Primary care doctors should also be prepared to: refer a mentally ill child to psychiatrists, psychologists, and other specialists if needed; follow up, including collaborating with other healthcare providers to develop and implement a treatment plan; and encourage patients and their families.